Jacques ZS1PL and I were chatting back in 1990 or so, and I'm not sure who was responsible but we came up with the idea to build an 8052 BASIC computer. 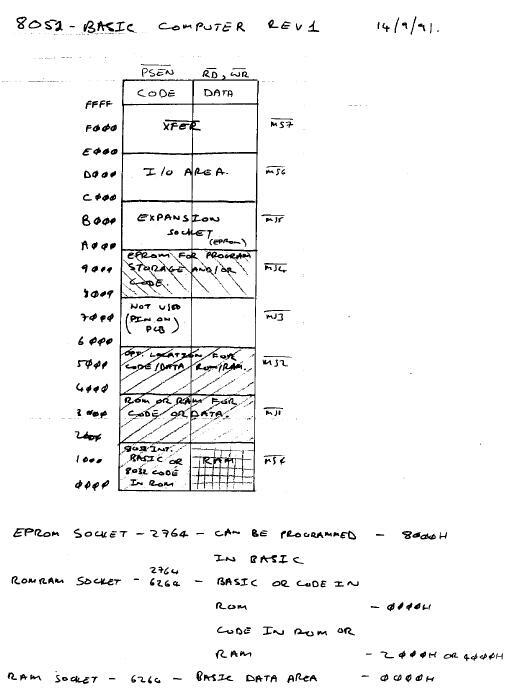 The schematic is dead easy, it's straight from the Intel MCS BASIC-52 Operating and Reference Manual. OK, I ended up with three 32k devices, with various options. You see, one neat feature of this design is that the BASIC in ROM can re-configure the 8052 so that the pins become I/O pins and not address and data lines. In this mode, the microcontroller can program an external EPROM and store BASIC programs in it. These are stored sequentially until you run out of space, then it's time to wipe the EPROM and start from scratch. There's also a mechanism to load and run one of the program images at startup. 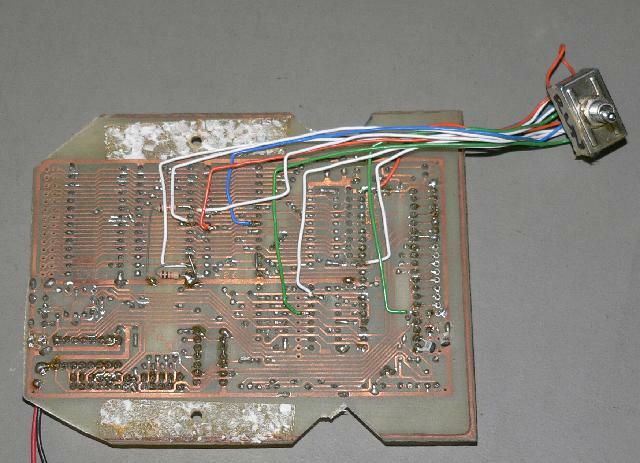 And the 8031 has a separate "code" and "data" space. 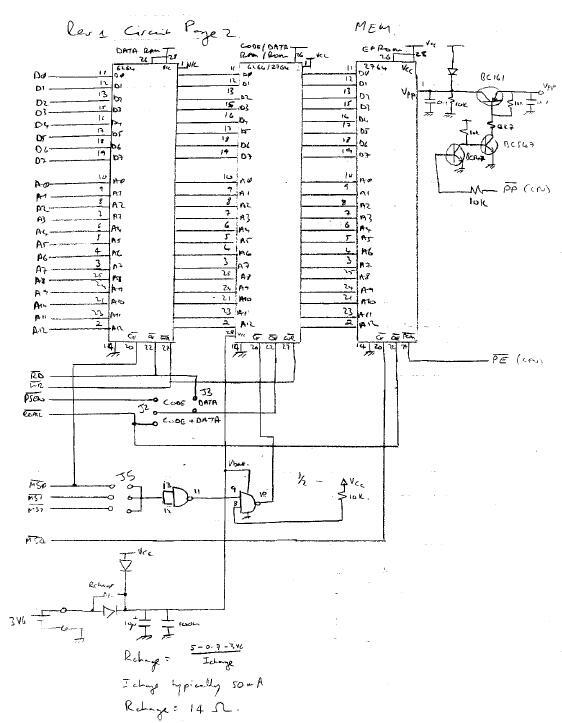 So with this design, you have the option of using an 8031 and an external EPROM, plus two RAMs for 64k code memory. Or, you can use the 8052 with BASIC in internal ROM, and have 64k RAM. 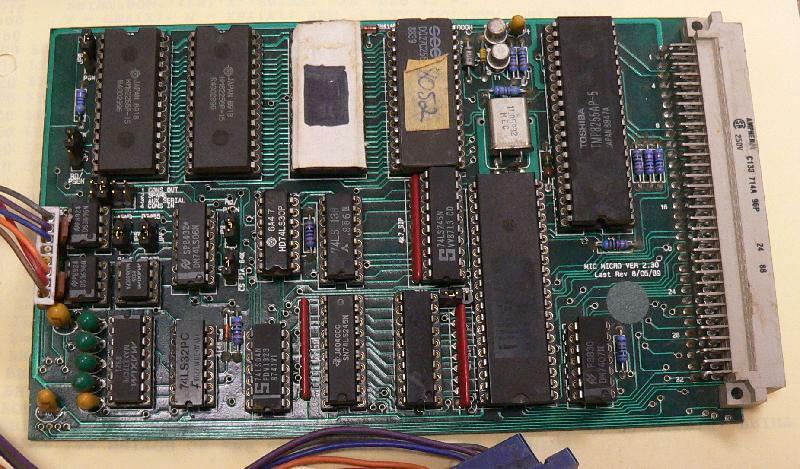 Or 32k RAM and 32k EPROM for program storage. In truth, my first design didn't make any of this easy. I ended up with this huge switch which I could use to select modes, switching EPROM out and RAM in. 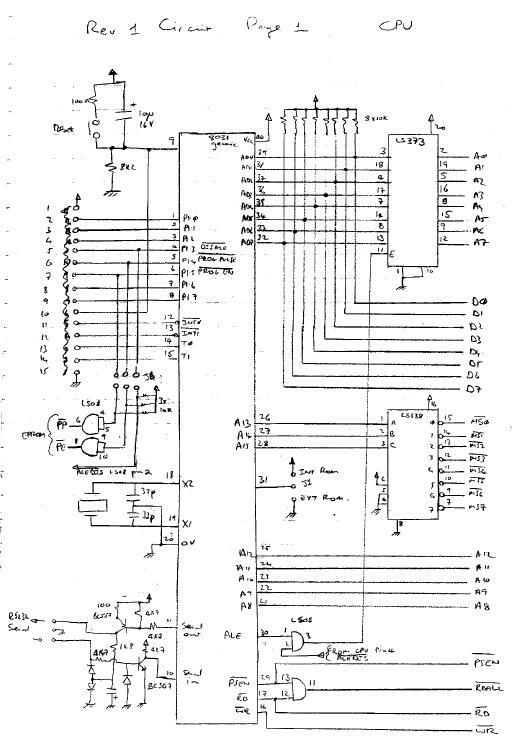 Hand-drawn schematics and smARTWORK on an Olivetti M24 in the special 640x400 graphic mode. 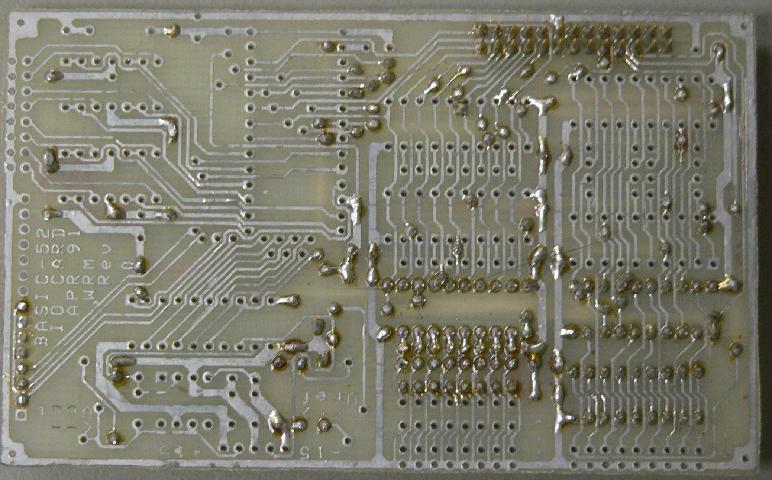 Double sided PCB, but no through-hole plating, all vias are dedicated. 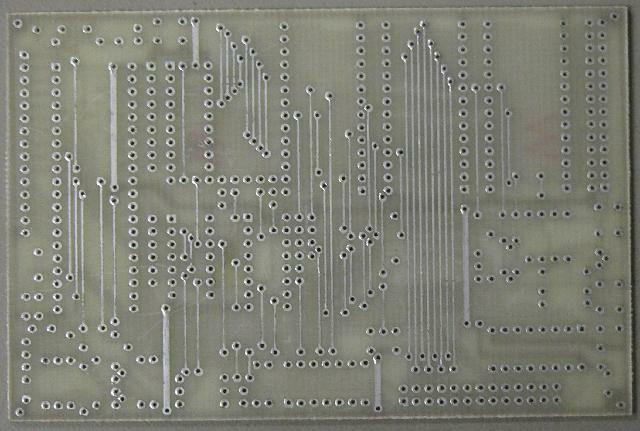 You can also make the PCB single-sided and use jumper wires, all the traces on the top side are straight and point-to-point (this is a feature of all my PCBs of this era, because of the technology I had access to). I also made an I/O board. 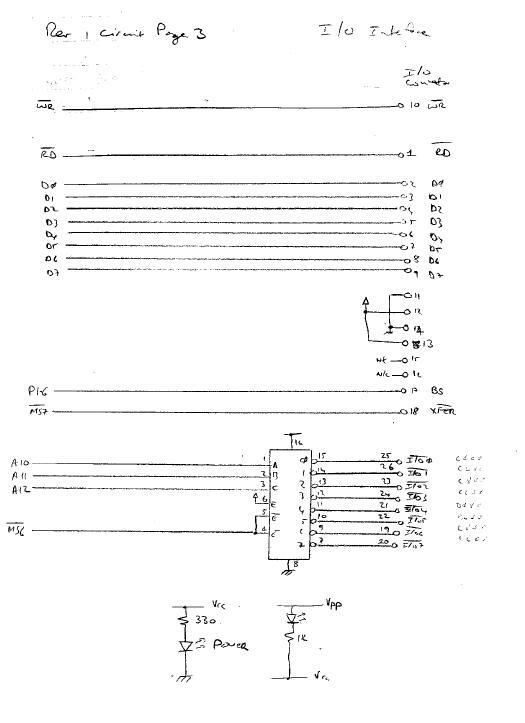 I'm pretty sure it leans heavily on the Elektor I/O design, but I'd have to find my black book (yes, each of my projects had (still has) its own black book) for the exact schematic. 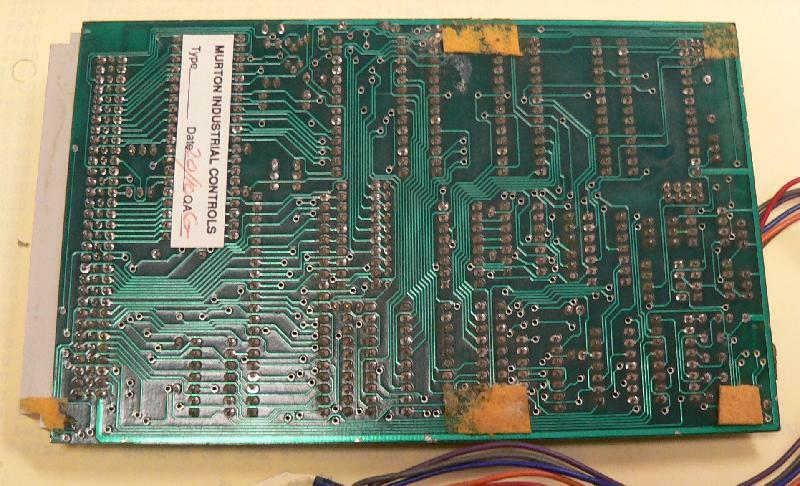 Looks like eight unity-gain op-amp buffers on the top left of the bottom view above, going to the 28-pin device. I wrote some code to copy the BASIC ROM to EPROM, and using that we could run BASIC using a standard 8052. Of course, in this mode one can't use an EPROM for data storage. (It's maybe not as elegant as the program Elektor published, but it got the job done). The MIC 1017 was built by Murton Industrial Controls in the eighties. I got one from fellow radio amateur Bertie Stander. 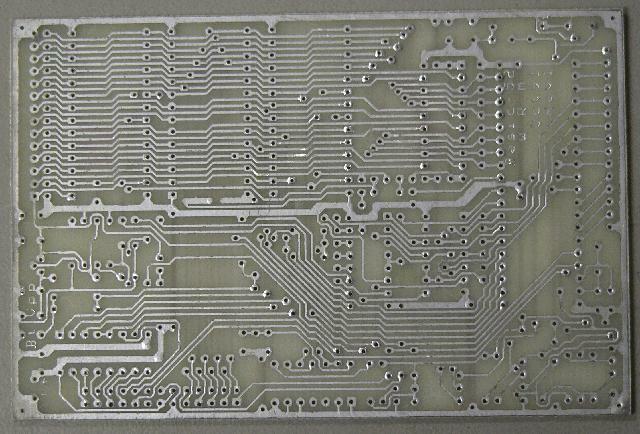 You can get much more on a PCB if you have plated-through holes, that's for sure. Then I realised I had a complete Murton system in storage -- another MIC1017, a backplane and power supply, I/O, keypads, the works. 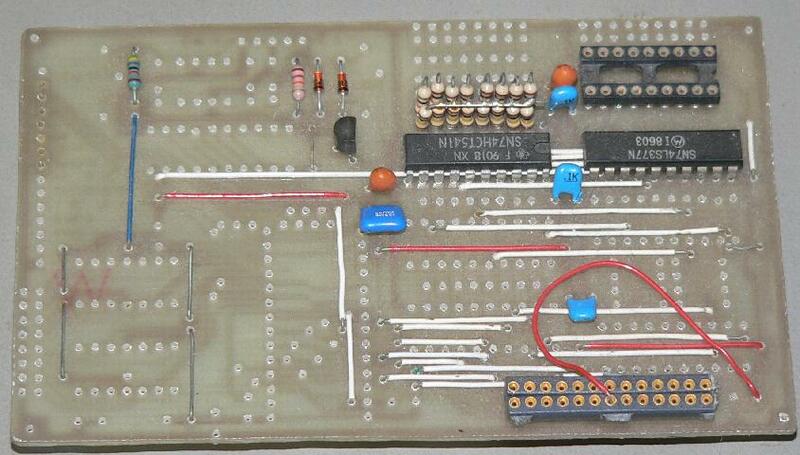 8052 board with IDE controller. 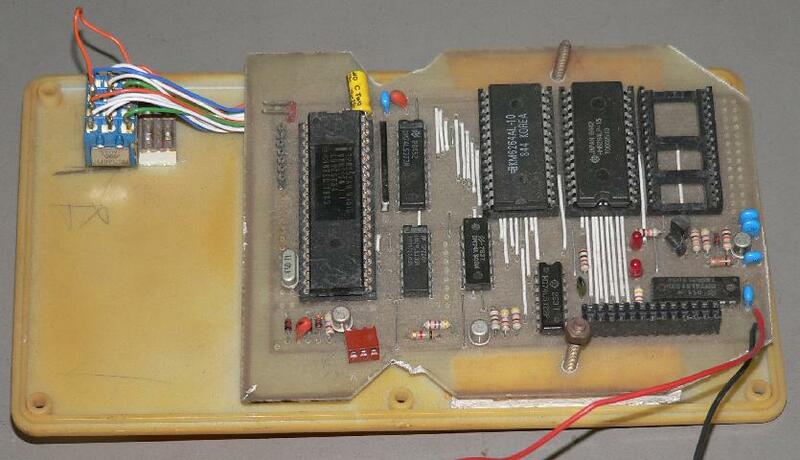 Also some nifty tips on maintaining a list of programs stored in EPROM.